Benchmarking or baselining is an important first step in any improvement process. You need to know from where you’re starting before you can plan how to get where you want to be. Determine scope of effort – identify strengthens and areas of opportunity to guide improvement planning and goals. Establish a starting point – establish a reference to measure performance of your reliability program and results of your improvement efforts. 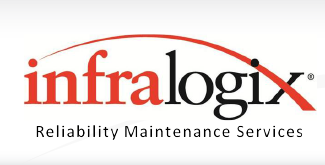 Reliability Audit – after you’ve invested improvements to your maintenance program and systems, it’s imperative to audit performance on a regular basis to ensure your organization is achieving the intended results. Validate key reliability metrics – support key assumptions and justifications for your organization’s improvement efforts. Verify and encourage program compliance- personnel are far more likely to comply with program improvements, processes and procedures if independently audited. Identify underperforming areas – highlight opportunities to make program adjustments and support continuous improvement initiatives. Broad awareness – involving members from across the organization will facilitate understanding of program objectives and underscore the importance of the initiatives. Instant buy-in – participants will provide much greater support for initiatives for which they are allowed to contribute. Long-term ownership – similarly, individuals and groups that provide input will inherently feel a stronger sense of ownership. All of these factors support a more rapid adoption, sustained compliance and overall success of reliability improvement programs that’s tailored for your organization.